Elegant and decadent in styling and design, this end table is a stately addition of accent display and storage to the living room in your home. 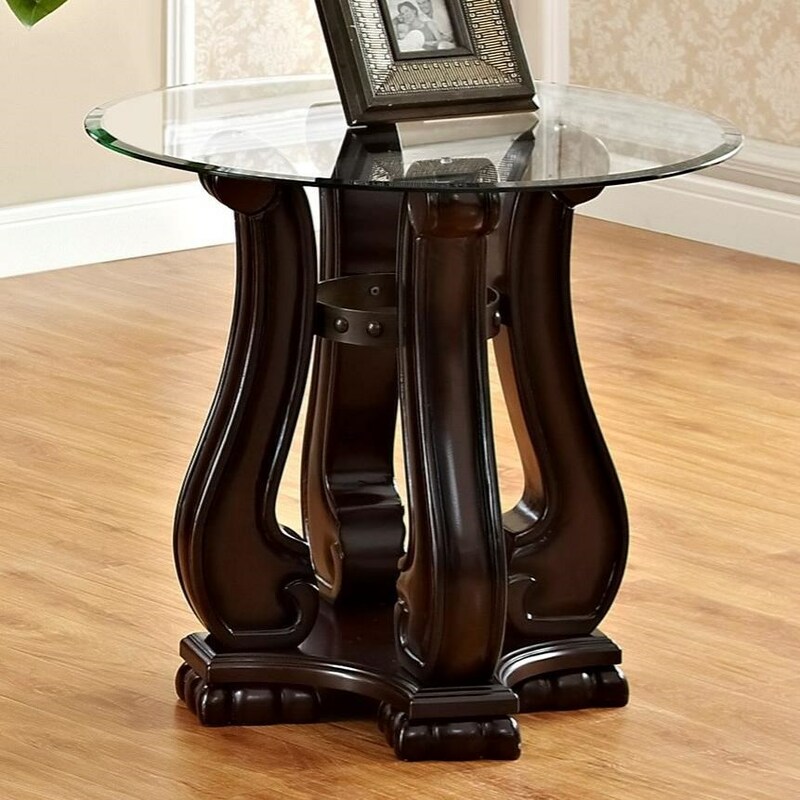 Featuring ornate woodworking leg designs with a glass table top, wrapped in either a dark brown or shiny gray finish, this is a perfect chair or sofa side table for your home. The Madison Traditional End Table with Glass Top by Crown Mark at Miskelly Furniture in the Jackson, Pearl, Madison, Ridgeland, Flowood Mississippi area. Product availability may vary. Contact us for the most current availability on this product.